Brandboom version 5.1 update is live. Here's a quick look at what's new! Blurb Images - upload insert an image to a blurb directly from your desktop. Now it's even easier to customize blurbs with images. When inserting an image, click on the "search folder" icon to open the image uploader. From there you can drag an image directly from your desktop into the uploader. Order Search Bar - use a comma to separate search terms on the Orders page. 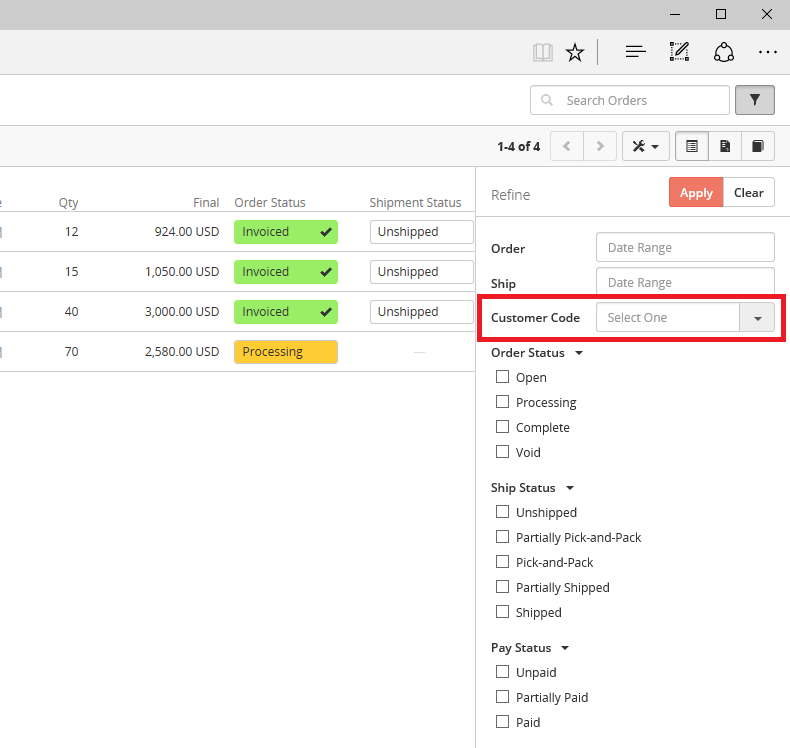 Customer Code Filter - new filter on the Orders page allows you to filter orders by Customer Code. Markup Pricing Indicator - markup pricing is now displayed in green font for the seller, for easy identification. 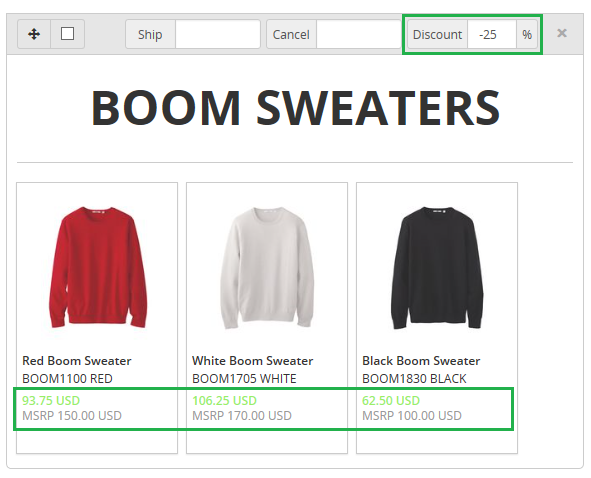 Using a negative discount on blurb will result in markup pricing. You can also mark up prices of individual products. Note: Buyers will not see the green markup price, prices appear regular black font.